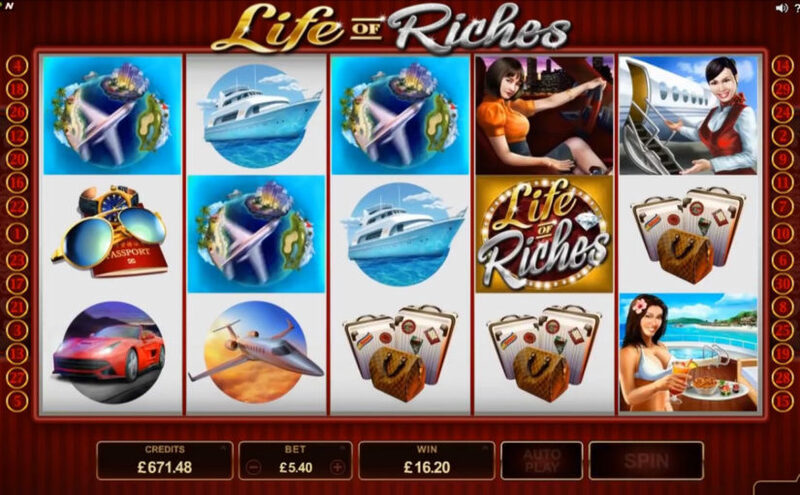 Life Of Riches Online Slot is a 5 reel, 30 payline slot game powered by Microgaming. Find yourself in the world of luxury and experience the jet-setting life as you savor the finer things in life. The Wild symbol will substitute for all symbols except the Scatter. When substituting the Wild Symbols doubles the win. The Wild is stacked inside of Free Spins across all Reels. If a Wild completes a win inside of the Free Spins feature, the win is multiplied by 4x the triggering bet. 3, 4, or 5 Scatter symbols will trigger the Free Spins feature. 10 Free Spins are awarded and all Free Spins wins are doubled. Free Spins can be retriggered.